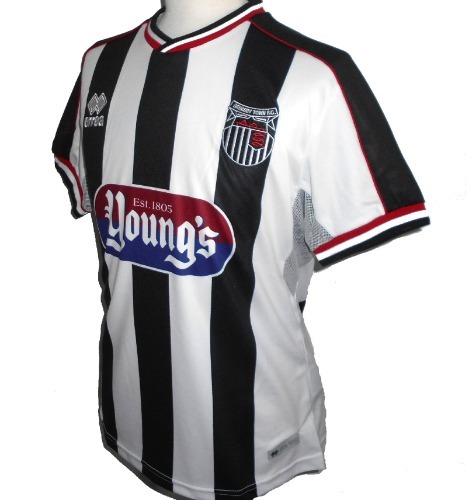 Official Errea home football shirt for Grimsby Town FC for the 2018-2019 season, New with tags in Errea packaging. Please note that we only official/authentic shirts from Errea, so you can buy with complete confidence. - Sponsors logos on chest and back. - Black and white stripes with red trim. - 140th anniversary printing inside neck. - New with tags in Errea packaging. - Official licensed Errea product. - Adult size UK/US Medium (EU-Small). Chest 41", length 27".